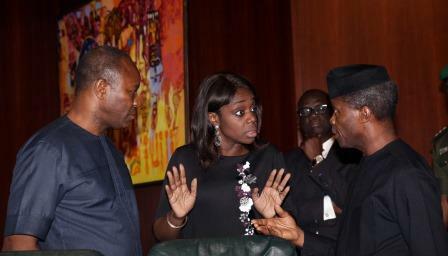 The Director of Information in the Federal Ministry of Finance, Mr Salisu Dambatta, has denied a media report that claimed the Ministry hired a British Public Relations company, Africa Practice R & B, for $2 million (N612 million) to handle communications of the Minister of Finance, Mrs Kemi Adeosun, throughout the one week she attended the World Bank/International Monetary Fund Spring meetings in Washington DC. Mr Dambatta, in a statement issued on Wednesday in Abuja, stated that the PR agency was only hired by the Federal Government as part of the Eurobond programme. He emphasised that due process was followed in the selection of the agency after a competitive tender advertised in international and local newspapers.